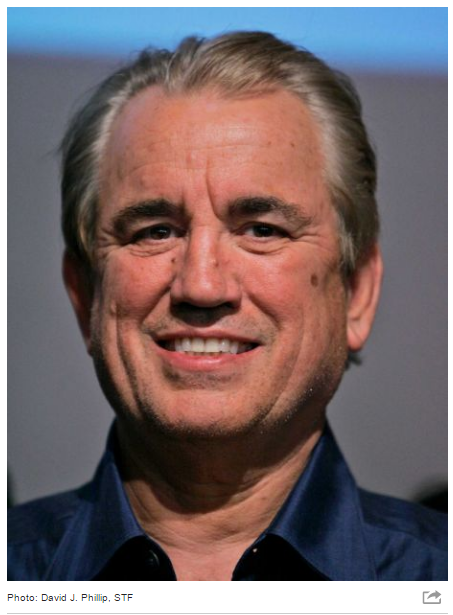 John O’Quinn was a famed plaintiff lawyer and billionaire who died in a fatal car accident in 2009. However, his death has been, unfortunately, restless. When his ranch was sold after his death, his grave site was moved from its original location to Louisiana. And now, the John O’Quinn body transport issue further delays his rest. 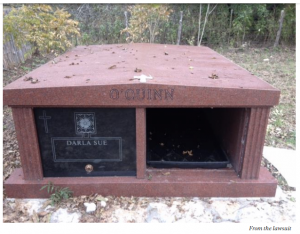 In 2009, John O’Quinn’s body was buried in a mausoleum on his ranch in the Texas Hill County. However, in 2014 his body was moved yet again to a Louisiana cemetery at the direction of his cousin. But the main issue is Darla Lexington, O’Quinn’s common-law spouse, was never notified or asked about the move which was done on All Saints’ Day (November 1). Darla Lexington already had arrangements to be buried in the mausoleum next to O’Quinn before his body was transported to Louisiana. With the help of Terry & Thweatt P.C., she is suing the funeral home directors for allowing his family to move the body without obtaining her consent. Terry & Thweatt, P.C. continues to represent Darla Lexington in the case and is aggressively pursuing action against the funeral home. Whether you or a loved one are a victim of personal injury or business dispute, Terry & Thweatt P.C. is here for you. We fight diligently for our clients and take personal injury and business dispute cases on a contingency basis. Visit our website and fill out our contact form or call 866-870-0008 today for more information or to schedule a consultation.